At long last, ABC finally has a singing competition that's earned itself a second season. After a string of one-and-done competition reality shows graced its airwaves in a quest to launch an American Idol or The Voice of its very own, the network has found success with its revival of the former, revitalizing its Sunday night line-up in the process. 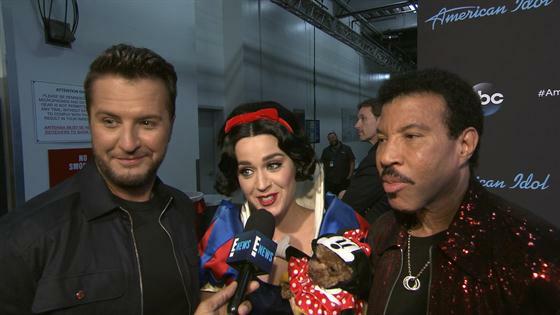 And while the new American Idol has yet to completely surpass The Voice in total ratings, it has performed well enough to the network to keep it around for another season with its new judging panel, comprised of Katy Perry, Luke Bryan and Lionel Richie, in tact. Hosting mainstay Ryan Seacrest will be back as well. "We knew that American Idol on ABC would unleash an opportunity for singers from all walks of life to realize their dreams and that these incredible contestants would have America rooting for their success," Channing Dungey, president of ABC Entertainment, said in a statement announcing the renewal. "I am thrilled that Katy, Luke, Lionel and Ryan will be back to once again embark on this Idol journey with us to discover the next crop of inspiring talent." "American Idol's return on ABC has shown once again that viewers love to discover and support raw talent," said Trish Kinane, president of Entertainment Programming at FremantleMedia North America and the executive producer and showrunner of AI. "Our new judges Katy Perry, Luke Bryan and Lionel Richie have brought huge credibility, energy and fun to the show this year, and we are so excited to continue the journey with Ryan Seacrest at the helm in the search for the next superstar." The revival has finished as Sunday's No. 1 entertainment broadcast series in each of its eight telecasts this season in the key adult 18-49 demo in live+ same day ratings. It has more than doubled ABC's Sundays 8-10 time period results year-to-year in both total viewers and adults 18-49, delivering the network's best results in the time slot in four years. American Idol originally debuted on Fox in 2002, where it dominated for 15 seasons before being canceled in spring of 2016. It was quickly revived by ABC for its current 16th season. Are you glad that American Idol will be sticking around on ABC? Sound off in the comments below! American Idol's current season continues when the top seven take the stage live, coast-to-coast, on Sunday, May 6 at 8 p.m. ET/5 p.m. PT on ABC.